You who have been removed by the Family Court from the sight of your children read the article below and see if you can identify some parallels. “Many of the children have emotional problems, which appear to get worse, not better, over time. A small number are walking powder kegs badly in need of high-quality interventions. Children suffered from “anger, nightmares, bed-wetting, low self-esteem, anxiety, depression, shame and attachment problems”. Younger children experienced emotional upset, while older children experienced anger, violence and bed-wetting and adolescents were involved in drugs and “sexualised behaviour”, the report found. All the above affects, in the same manner, the children of fathers removed abruptly by the Family Court from their homes. After the protection order, not before, as these nasty behaviors develop in a child, the psychologist, the Lawyers for the child, the counselors for the mum, even the gp will sing the same tune: They will accuse the dad in affidavits the he caused it all. Here for the first time an indirect admission that the Family Court creates mayhem in the society. Liz and Derek Gordon are a long time members of the Howard League for Penal Reform. At a workshop on prison reform I attended mid year we talked about these parallels. Also at that workshop was Kim Workman from the Families Commission. I think everyone accepts that loss of a parent for whatever reason is often devastating for children. In my view the way to affect change is to work with such groups to build the base of our concerns. The removal of a father by the Family Court is a not a loss of a parent but a kidnapping of the children by the Family Court (The State). A loss is when a parent dies and that loss most children accept with great resilience. 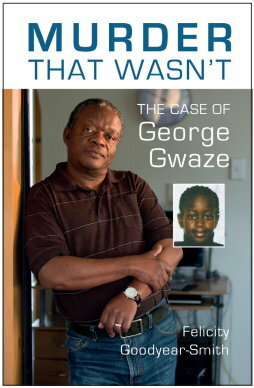 When the Family Court, with the help of Women’s Refuge engineers domestic violence using a plethora of lawyers and psychologists so that a protection order is served on a father which results in him being removed from his home and his children is not a loss but a kidnapping, abuse and state sponsored violence. Things need to be called by their names and not pretend we are living a a civilized world. I could not agree more with what you say. Parents are important to children and any loss of a parent can be traumatic for children. Even a weekend absence can be stressful : especially when it is unplanned, emotions are high, Police or other agencies are involved. I think you need to focus on matters from the child’s perspective. Yes removal of a parent is bad, but you then loose your argument by focusing on kidnapping. The post above is about where parents (mainly fathers) are incarcerated. I suppose that might be labeled parentnapping. I work with a lot of situations and many have protection orders. In only one case does a parent have no contact with their children and I probably have 20 plus such cases active at the moment. Are you saying that you have no contact with your kids at all? If so, then what help are you getting from someone who has experience with such matters? The comments that you seem to make that kids get over the death of a parent easily and are resilient don’t square with my experience at all. I first worked with kids groups in 1983 and in that first group was a child whose mum had murdered her younger sister and then suicided. It taught me that emotional and psychological scars are very deep and while lots of her life was OK she was fragile and with lots unresolved underneath. I have been a teacher for 25 years and in my experience any loss of a parent is a big issue! Doesn’t matter if it is due to Family Court issues, relocation, withdrawing, sickness, or death. Family Court intervention does produce those nasty behaviors in children and there is absolutely no justification for it unless, unless there is real harm for the children from a parent. Examples and facts abound that the Family Court is incapable of tackling real domestic violence and to compensate, it levels its intervention at almost normal families. The intervention framework of the FC is a solution in cases of real domestic violence and a problem and cause of violence and trauma when applied to a normal family. Last years 11 women were murdered, dads in jail, children left orphans and no count of fathers suicide after the intervention of the family court. Alan here is what I said: A loss is when a parent dies and that loss most children accept with great resilience. Notice the words ‘most’, ‘accept’ and ‘great’. It does not mean at all your reading of it: “The comments that you seem to make that kids get over the death of a parent easily and are resilient “. It is my opinion and I do not make money counseling children. My children’s lawyer also claims to be a specialist on children and knows a lot about their best interests. In this game the only person who does not seem to know much about the best interests of his children is ‘of course’ the father. Death is a natural accident. The Family Court is not. I would like to ask you a question. How many of the fathers you are dealing with who have access to the children and are not safe for their partners or children? If none why do they have a protection order? Is not that a way of perpetrating a likelihood for violence? All the agencies around the family court issues advocate for fathers to submit and accept the violence of the Family Court. Perhaps you might like to read my representations to the Family Court Matters Bill and the Domestic Violence (Enhancing Safety) bills. Unfortunately some of the parents I deal with are not safe arounbd their children or the other parent and thus they have supervised contact. Allan, I have no doubt that you are animated with a desire and will to solve intricate problems and an advocate for a better Family Court. Please do not read in my comments anything personal. I am just hurt at how the Family Court can terrorize, abuse so many people, without consequences. There is nowhere to complain. This is not my ideal of a public institution of the level of the Family Court. Dealing with the Family Court has changed me a lot. I have seen lies, incompetency and down right conscientious and deliberate will at imposing a protection order. Right from the beginning I took it on myself to cooperate with the Court and thus give it the benefit of the doubt and let it carry on with its own procedures. I attended the violence course (I had to) with all the philosophy I could afford. Believe me, overall, dealing with the Family Court has strengthened me. But I refuse to accept that they could destroy the bond i had with my children in all legality. If I knew what I know now I would have never engaged with the Court in any form or shape. The reason being, it ain’t matter: they proceed as it fits them. They never make mistakes so they never try to correct them. All in all I usually get what they are able to let go with without them loosing face, but and but their intervention could have resulted in a dangerous outcome if i succumbed to their set-ups and provocations. This is an advice for everyone: Do not take the Family Court seriously. You will do so at your peril. I hear where you have come from and been Tren. However what do you propose when parents cannot agree about issues for their kids? We need to be able to respond in a smarter way than labels like “set-ups” or “provocation” and never engaging with the FC. None of those tactics tend to be useful. I’m not sure what you 2 mean by ‘set-ups’ and provocation’. Perhaps 2 different things. You probably need to explain what you mean by these. I can say from experience that I too have been ‘set-up’ by the family court. I too trusted that they would be fair and unbiased. I am knowledgeable now and will ensure that anyone who goes there is not under the same pretence. Not engaging the FC is something I’ve heard banded around on this site. Perhaps we could have a discussion on that at some time as they are those on here who advocate that. I personally don’t see how that would help since the FC will just rule anyway. I’m fortunate as I still have shared custody of my kids but my name has been dragged into the gutter by lies and false statements, which the FC is reluctant to sort out. My kids have been emotionally and psychologically affected by the violence from their mother that the police have records of but CYFS, psychologists, L4C & judge ignore. However, I’m getting off-topic here…. We definitely need a Family Court but not the one we have. This one is simply unfair and bully-ish. The reason I advocate to not engage with the Family Court is because the result is the same if not worse. For me the Family Court goal is to heal the society and its chief mission should be to reconcile families, and when parents can not agree it mandates shared custody. No lawyers should be involved but may be community mediators and no husband should be thrown out of his family home to start with. Do we have less domestic violence with the Family Court? Could you compare to 20 years earlier? Last year 10 women where murdered subsequent to a protection order not before. I am a no tactics person. I related what I saw and witnessed. Infortunately it matches with great many here alone in this site. And how many tragic stories we do not hear because many Kiwi blokes and new immigrants are either shy to talk about it or lulled into submission because they are told their chances are better if not confrontational. Yourself Alan as far as yesterday you advocated to a father to shut-up and contact you behind doors because you say what he says could be used against him. Waw! So he is like a criminal every thing he says could be used against him! That tells me a lot about the childish aspect of the Family Court: The conflict is between the father and the Family Court. It is personal. I’ve been to the Family Court. I won custody in the Family Court and yet I would advise every father to NEVER go there. We definitely need a forum where families can sort out custody matters but that forum does not exist in New Zealand despite claims to the contrary from our so called Family Court. If every single father refused to engage with the Family Court it would become irrelevant and would hopefully be replaced with a forum that actually works for fathers and children and mothers rather than the current scam that panders only to women. It’s no good slapping a coat of paint over the leopard’s spots. The leopard needs to be completely replaced. Unfortunately, what WOULD happen is that women would get more things their way and more father/child alienation would result. Judge Boshier would probably comment that it was sad that there were ‘some’ parents not interested in the upbringing of the children. Politicians would criticize deadbeat dads…etc. The only way the court will be reviewed is if there is a serious attack on it.. I mean something very newsworthy. Those things happened in Australia and the UK and people started taking note. It’s only a matter of time…. I think that if fathers ignored the Family Court completely it would most likely upset the mothers who would insist that the father takes some responsibility for their children. I doubt you’d be in any worse position except for the thousands of wasted dollars you’d save on legal expenses. Fathers options are at the whim of mothers regardless. You might as well cut out the middle woman(Family Court) from your life and wallet. Unfortunately it isn’t personal for Lawyers, Judges, Court staff, Psychologists, social workers etc etc. To them it is at best a job, at worst a gravy train. We need to think smarter and not get hooked into taking Fc personally as that is the way to loose contact with children and that is a disater for all. These are serious allegations. Do you have evidence of this ? You can find my email on this site. New Zealand women have chosen to remove men from the family, to abrogate them of all parental rights and noble attributes in a calculated and ruthless campaign of social terrorism. The ‘Femily’ Court is merely a facade staffed by parasites and has been rendered obsolete in the womens’ republic of New Zealand. Not the Liz Gordon former MP and power dresser? No the Liz Gordon I am talking about was Professor of Linguistics at Canterbury University (maybe still is). The former Alliance MP (Dr Liz Gordon) I understand has now done a law degreee and is currently using her research expertise practising in the survey/researcg/personell fields. A real life account from and adult about his own experience of domestic violence as a 5 year old child. Would you please take responsabilities for your own actions???? When did you want contact with the boys ???? Didn’ t you smashed and destroyed your own house and leave them without to discover you have abondoned them?? I was prepared to live and stay in New Zealand for the sake of our sons and what have you done??? You are so self centered that you do not realize the harm you are doing to your sons and to your daughters, and to all your family!! Please have contact with ALEX and REMY!! Before bashing out and bleming everyone !!! Peace and happy new year with good resolutions for the sake of your four children!! Actually she got a P.O out using false allegations after being unfaithful, she had been violent on many many occasions , resulting in 1 hospital visit. I never touched her. She bribed one of my sons with toys to say bad things about me to the idiot lawyer for child. I broke a lamp and 3 chairs (not “the house”), it was all because she wanted a 1 million $ house on the sea front that i could not afford, and i had the temerity to say “NO”. I thought that i was just being a good husband and father in living within our means. I left her 4 times because of her violence and thieving. I was an OK father, fathers care for sons in a different way, BUT THEY STILL LOVE THEM AND WANT THE BEST FOR THEM. Single mothers get paid very large amounts of money in Belgium where she is now, she cheated her relatives in Belgium too, in the same way that she cheated me, until she was thrown out. She continues to overspend, buying 10 year boys top of the range mobile phones . She does not realise the terror that she instilled in me by the injustice of what happened, she was involved in a war, and the terror that i felt was equivalent to the terror that she went through in the genocide in Africa. But the one thing i want to ask her is :- how would YOU feel if one of our son’s married somebody like YOU ? One of the feminist catchphrases is there is NO excuse whatsoever for domestic violence, but of course if it committed by the women, they come up with hundreds of excuses ! Reply to Swashy and Kiwi in Space. 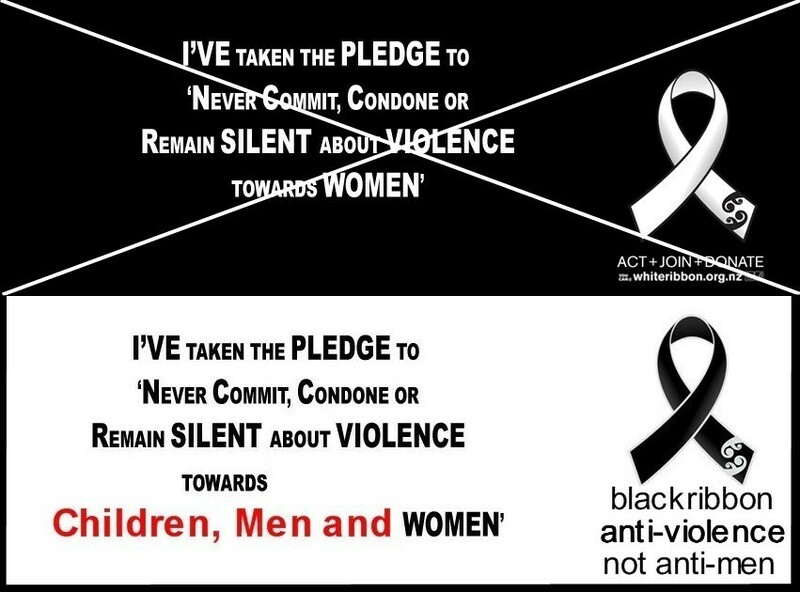 Please note that correct people (both women and men alike) will stand up in unison again violence in any shape way or form and from either gender. It would be a shame to resort to victimizing one gender against another. The current state of affairs show that men are consistently being punished more than women for domestic violence. This is because we are all conditioned to believe that men are usually more violent. This needs to be unlearned. And correct people step back and identify violence for its true face and provide the necessary service to sort the situation out. CASE IN POINT – DO NOT BE JADED AND IMMATURE ABOUT THE REALITY THAT EXISTS TODAY! The current and next generation have to sort all this sh_t(excuse the lingo) out because it is more than OVERDUE! It should be easy to spot the perp but due to extreme stereotypes on both ends… perps of domestic violence (both men and women) get away with manipulating the system around… victims today are poisoning the future generations… WHAT DO YOU THINK A SINGLE MOTHER TEACHES HER SON? ESPECIALLY IF HE WAS WITNESS TO DOMESTIC VIOLENCE OF HIS PARENTS?…. THINK ABOUT THE FUTURE AND GET YOUR PERSPECTIVE RIGHT TO PARTICIPATE WELL TO BRING ABOUT CHANGE THE RIGHT WAY! 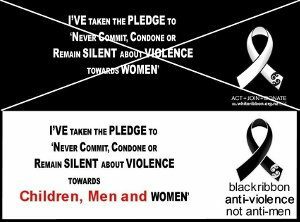 ….Well said Good Sir,and the reason why so called nothing is mentioned about ‘Violence against Men’.?????…Simple…. Then FemAmnesty International have NO credibility any more. It is not my education is not good to do public laundry!!! but i can make all the scientifics reports available if needed too; you can’t help it making false allegations, the truth of the matter is in a court papers and i do think that the professionals reports proven that you are suffering from some kind of personality disorder!! the time we were living together, i have always had to put up with you and i recall you come and go as you want, j’ai Ã©tÃ© fatiguÃ© de ton comportement instable and ended up our life to your big surprise, so you use to say that i do love and i can never live without you, …. you thought que la NZ loin de tout le monde tu vas me gÃ©rer comme ton entreprise???? (very manipulative as usual) and i think, only God knows how many times i have had to forgive you and have you back; et tous Ã§a malgrÃ© ton comportement, d’Ã©goiste, tu as toujours habitÃ© chez moi et je t’ai logÃ©, nourri, blanchi et habillÃ©, haha!!!!. you are angry because you thought that it will go on like that in NZ, and you forget the agreements we had before moving out!! do remember you choose to move out and i didn’t. so you started, your fights and you become very violent and abusif towards me in NZ treat me like a slave and insulting me quote”black monkey”,so you name it!!! you will come home and say that NZ is not for african, you will beat up the boys etcc…., dating zimbabween women, philoppinos,stealing my personal belonging to give to them??? Martin do you really want to go on??? Do you remember saying that black people are inachiever??? so Who is the president of the state now???? why all of your family members told me that it is because of your mum, who never set boundaries when young??? am i the one who treathened my mum to give me money to buy my first house??? ?you are stepping over the mark,so face up, be a man instead of blaming everyone who doesn’t have the same opinions like you do. who is working and providing for our sons you or me?? so you think you were a good father?? why can’t you go on?? did i stop you seeing your sons??? other persons on this forum are sad and want some kind of help and you, you are just here because , you can’t get to move on and be happy without me and deep down you know??? don’t you??? you have no one like Claire and that’s why, you have been coming back and use our sons, stupid me, i will pass over and forgive you…. tu croyais que tu pourrais me traiter comme ta propre propriÃ©tÃ© privÃ©e?????? i don’ t want you to go on and continue lying , hiding, blaming others for your own actions. did i cheat on you and when??? am i the one who slept with your best friends ??? or cousins??? you name it?? how can you dare??? so if i am really horrible and a person why the family counselllor that we had been to in NZ had advise me to divorce you??? and what do you say about all your belonging that you just bought and kept harrassing me to come back to ??? and eventually, when realized there is no hope and destroyed everything, flied over europe with no notice to the boys that, i had let you see anytime and anymoment??? deep down in you, you are just trying to justify yourself , like when you destroyed my belonging in Belgium, just before moving to NZ, didn’t i let and follow you?? just try and get some help before it is too late for yourself. Alex and Remy are well grounded and happy, intelligent boys , my role is to protect them and iwill make sure they know, who you really are, and that you have some psycho personality disorder, i trust them to judge and believe they will on their time, of course , they will alwyas love as their dad, full point! i will let them read what you write about me and on facebook, they can see how grown up you are! !and what kind of comments you make about them…. you are very avare that you’d rather die justifying, the importance of you not thinking of providing for them, so; you think you are a good father??? how come your daughters decided not to talk to you? ?now that, they are mature and can make the judgements,so soon as will be your beaux twins sons. Be blessed, and i always pray for you that you have the real insight for your own sake. how would feel if your daughters married a man like you??? irresponsible, violent, abusif,racist,womanizer, avare, with personality disorder?? ?, anti-social, sale, boulimique??? This discussion has gone way beyond what is acceptable for this site, so I’m closing the comments henceforth. Offenders, please refer to the rules before posting again – your contributions will be moderated in future so expect a delay while I get around to doing so.